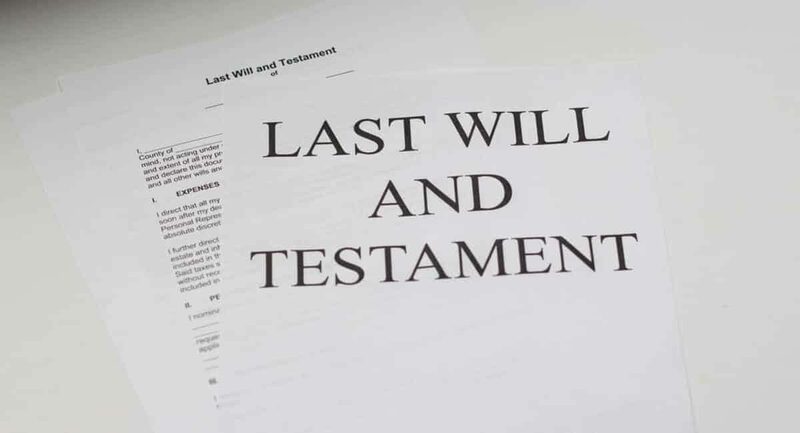 Home > Archive by Category "Wills and Trusts"
Death isn’t something most of us like to think about, but it’s going to happen. It’s very important to think about what you will leave behind when you go. Are you’re family taken care of? Are your assets protected? All these questions and more are important and it’s never too early to start thinking about it. If you’re thinking “do I need a will?”, then you’re at the first step of the process. If you’re wondering whether you need a will, keep reading to find out why you should. If you’re married, you should have a will to protect and help care for your spouse. In the case of your death before theirs, you should put into writing what you want them to receive. If you don’t have a will, your spouse would be likely to inherit your assets when you die. But there’s a chance they might not, so don’t leave it all to chance. Also, if there’s someone else you want to inherit your assets, you need to include them in the will. You’ll need a will attorney to help you draft and finalize your will, but once it’s done, you’ll have peace of mind. If you also have children, you will need to make a will. Your children are likely to inherit your assets after your spouse, but this isn’t a guarantee. If you want your children to inherit after, or before, your spouse, you need to put into a will. Things could get messy in court if this isn’t done, so make sure you do it before you die. If you have a child you don’t want to inherit anything, you need to put this in writing too. A will is also important if your kids die before they become adults. You can name an executor of your estate as well as a guardian for your kids, who will be responsible for raising them. If you have elderly parents and you die before them, your will can help protect them. A will can help prevent them from losing their benefits from the government. If you don’t include them and they get your life insurance payout, they could lose their benefits. A will will stop this from happening. You can direct your assets to your parents in installments instead of a lump sum to help them in the long term. It will help to pay for any nursing home or care costs as well as general living expenses. If you have pets that will get left behind after you die, you will need to make a will. A will can help ensure they don’t end up in a shelter when you die. In your will, you can choose someone to care for your pet after you pass. You can also set up a pet trust that will provide financial care for your pet once you go. This will help to cover vet bills and standard maintenance costs of the animal. If you’ve been thinking to yourself “do I need a will?” and these points apply to you, the answer is yes. If these four points are things that you have in life, you need to make sure to write up a will as soon as possible.Want to learn more about trusts? Check out our blog post for the pros and cons of trusts. Is it smarter to leave your home or land in a trust instead of a will? Here are the up- and downsides of putting your property in a trust to discuss with your attorney. Do you know what’s going to happen to your land or property when you pass away? 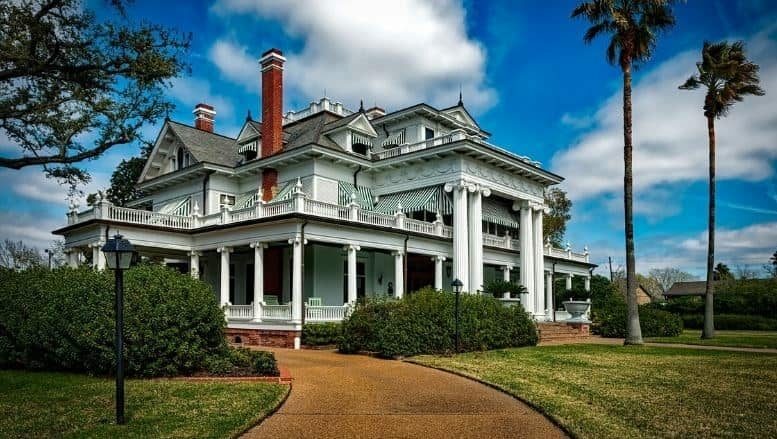 While a will is better suited for smaller assets like your grandmother’s fine china, placing a home or vacation property in a trust may be more advantageous for everyone involved. But they also present their own disadvantages too. A trust is a legal document outlining how you’d like your property and other assets distributed after you die. A revocable or living trust allows you to maintain full legal control and ownership of the trust, including the properties and assets, until the time of your death. This means you can add/remove assets or properties anytime you want, change beneficiaries, and even dissolve the whole thing should your situation change. However, since the property or land will technically remain in your possession, a revocable trust does not protect your assets from creditors hoping to seize them upon your death. And it also doesn’t exempt your home from the estate tax. These two downsides may be alleviated with an irrevocable trust. Irrevocable trusts pass the legal ownership of the trust, including the assets and properties, to a trustee. It also puts the management of the trust on someone else’s shoulders, which may be needed in the case of incapacity as you near your final days. An irrevocable trust works just like it sounds: once you and your financial advisor or attorney draft a final version, an irrevocable trust cannot ever be changed. This means you won’t be able to add or remove assets and properties, or even dissolve the trust if you so wish. Another key difference: a revocable trust keeps your assets tied to your estate. But when you have an irrevocable trust, your property or land is essentially removed from your estate’s value, which means you’ll save money in taxes after your passing. This is just one upside to consider; here are a few more. Many people don’t know this, but if you leave property in a will, your family will need to go through the probate process before they’re allowed to claim it. Probate is the court-supervised process of compiling a person’s assets, paying off bills and taxes, and distributing the remainder of the estate to rightful beneficiaries after one passes away. If you have properties in different states, your loved ones will need to find attorneys in each state to deal with the different probate laws and fee structures. Go with a trust and none of this will happen. You outline who will receive your property and there’s never a probate process on your loved one’s plate. The cost of hiring different attorneys and the time expense of traveling back and forth for these court dates, which could take up to a year to finish, are bad enough. But if you use able accountants and leave your property in a will and your beneficiaries need to go through probate, they’ll also have to pay probate costs which could total up to 3% of your asset’s value. No probate, no probate costs with a trust. In fact, you’ll take care of all the costs of your trust for your loved ones because you pay them upfront when your attorney creates it. The probate process takes place in court and wills becomes public record after you pass away. So everyone you’ve ever known will be able to see who received what after your death. Since trusts are taken care of outside the court system, none of this information will be made publicly available. Your beneficiaries can claim their inheritance without intrusion or fuss. It could take weeks or a year for your intended to finally receive your property or land with a will as the probate process wraps up. But your designated beneficiary will receive the property in a trust immediately. Plus, he or she can also sell the property if they so choose without going through the ordeal of selling a house during probate. All these sound like wins. Though that doesn’t mean you shouldn’t consider the few negatives as well. Due to the somewhat extensive paperwork you and your attorney will need to file, the trust creation process can take more time than a standard will. It also increases the more properties or assets you’ll need to transfer ownership over to. When you leave assets in a trust, you’ll need to retitle them in the name of your trust. If you skip this important step, your property may not go to the rightful inheritor after you pass and your beneficiaries will need to comply with the choice a probate court selects. Remember, you may lose control of your properties after you transfer ownership, depending on the type of trust you choose. This detail might create issues with your homeowner’s insurance and title insurance as these may no longer be in your name. Whether your title insurance will still cover you for liens, easements, etc. So now that you know more about why you may want to put your property in a trust, the next step is discussing your thoughts with an expert. Everyone has a unique financial situation; a solid strategy for some may not be the best move for you. That’s why working with a financial advisor and attorney you trust is so crucial for your estate planning. You’ll want someone to deeply asses your portfolio and goals to figure out if putting your property in a trust is the optimal solution for your needs. So start looking for a professional with years of experience handling trusts and wills to help you make the right decision for your loved ones today.